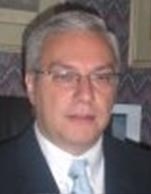 Dr. Tasos Aslidis has been the Chief Financial Officer, Treasurer and member of the Board of Directors of Euroseas Ltd. since September 2005. He has also been a member of the Board of Managers of Euromar since its inception in March 2010. Prior to joining Euroseas, Dr. Aslidis was a partner at Marsoft Inc., an international consulting firm focusing on investment and risk management in the maritime industry. Dr. Aslidis holds a Diploma in Naval Architecture and Marine Engineering from the National Technical University of Athens (1983), M.S. in Ocean Systems Management (1984) and Operations Research (1987) from the Massachusetts Institute of Technology, and a Ph.D. in Ocean Systems Management (1989) also from the Massachusetts Institute of Technology.